Hi everyone, Kirsten here, hope your week is going well so far. 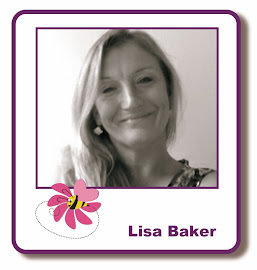 I'm standing in for Lisa today as she didn't get time to write her post before she left for Exeter, where she and Sue will be demoing for Imagination Crafts at the Hobbycrafts show over the next four days. For the first card she created a simple background using the Imagination Diamonds stencil & Distress inks - Antique Linen & Bundled Sage, if I remember correctly - she added faux stitching with a fine line black pen. She stamped a tiny snowflake from the Christmas Frosting set with Candied Apple Distress ink & a sentiment from the same set with Onyx Black Versafine on a die cut circle of white card, blending Antique Linen DI around the edge. She coloured the poinsettias with Spectrum Aqua pens, scribbling the colour on a tile first, then using water & a paintbrush to create washes of colour. That's it from us for today, thanks for visiting the blog. Julie will be here tomorrow & Jan on Friday. I'll be back next Monday. Enjoy the rest of your week. 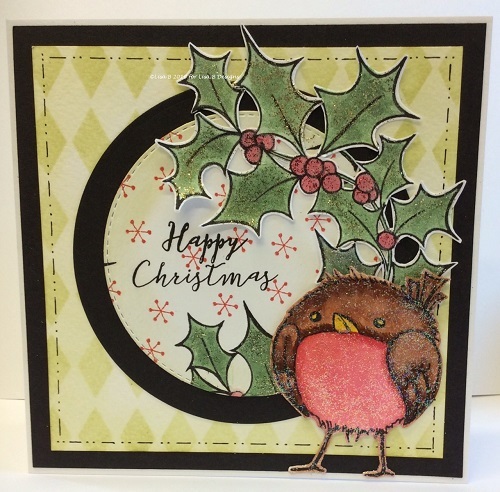 I do love a fat robin! He is a happy chappie. Love the text stamps too. 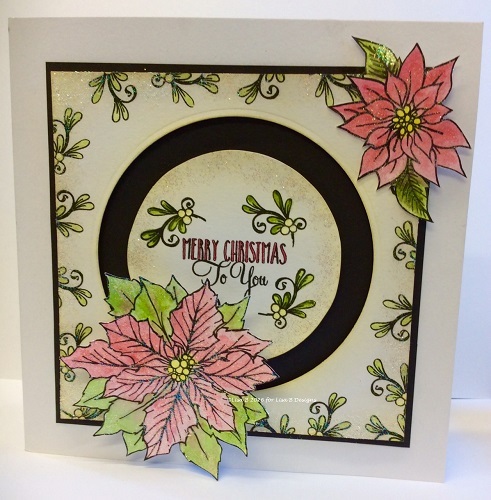 Fab idea with the Diamond Sparkle Medium, looks very good used like that compared to other products I have used for the same effect; will have to use that idea!